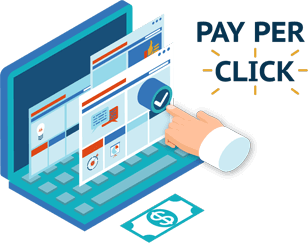 Be Found by more customers, searching for what you offer, with our professional PPC Services! Always structure your account in a simple, relevant way while ensuring landing pages are well designed, include enough information and are useful for the potential visitor. Conversion rate will increase if the correct amount of variables are all satisfied. Ensuring a strong paid advertising strategy takes time and dedication. Using A/B tests can increase your account’s effectiveness. By testing your adverts against other similar ads you can see what’s going wrong and what is working. As a digital marketing agency we know finding someone who you can trust can be difficult. This is why we are happy to meet with you and discuss your requirements, for free at your convenience. We also understand it can be daunting asking someone to undertake selling your products online, but rest assured we are experts when it comes to Google Adwords. If you would like to request a paid advertising review and analysis then please do not hesitate to contact us.